Tatijana of the Dragonseekers spent centuries encased in ice with her sister, trapped in limbo between life and death, never speaking to a soul other than those who tormented her. Now, she has been freed from her frozen prison by an unknown descendent. Awakened in human form, Tatijana yearns to explore the modern world in which she now lives - a world with more mysteries than she is prepared for. 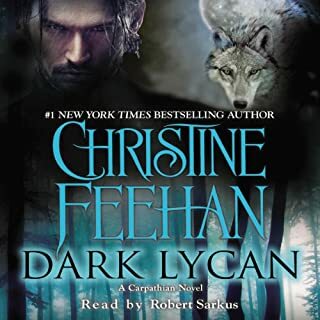 Fenris Dalka has returned to the Carpathian Mountains after a long absence to be with his brother. He is scarred by centuries of battle, and every hard-won victory. For Amiria of Berwyck, defeat does not come easily as she watches her home and clan being ripped asunder. When the very enemy who has laid siege to her home demands her fealty, she will do whatever it takes to protect her people, including a hastily concocted ruse that quickly begins to unravel. All too soon she starts to question whether she can forgive herself for betraying those she has sworn to protect. I had my doubts about this book, but I am so glad that I took the plunge and gave it a chance... and I am so glad that I did. What a beautiful story. The love between the h/h was so beautiful and heartfelt, and the intensity was brought to life by the fantastic narration of Susan Ericksen. Also, a bonus to have a secondary romance that was endearing. Not a day has gone by that Ewan McTavish, the Viscount Sethwick, hasn't dreamed of the beauty he danced with two years ago. He's determined to win her heart and make her his own. Heiress Yvette Stapleton is certain of one thing: marriage is risky and, therefore, to be avoided. 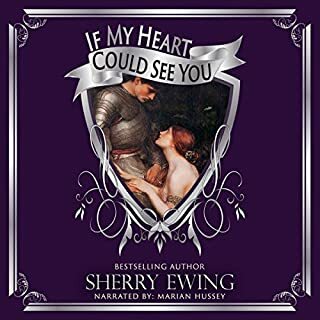 At first, she doesn't recognize the dangerously handsome man who rescues her from assailants on London's docks, but Lord Sethwick's passionate kisses soon have her reconsidering her cynical views on matrimony. This is the second book in the series and what a let down compared to the first book in the series. Story started off interesting and then just went downhill. After listening for so long waiting for the mystery to be resolved, was frustrating as the ending was so anticlimactic. Stunning book! 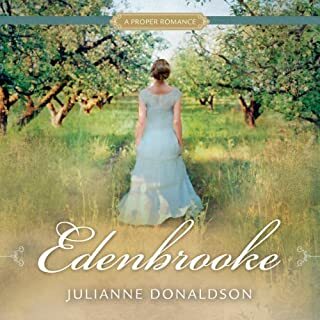 Wish there were more books by Julianne Donaldson. Clean proper romance, with no blaspheming which makes the book all the more enjoyable. Communing with spirits has been both gift and curse to Emme Walters. Now it's made her a killer's target. 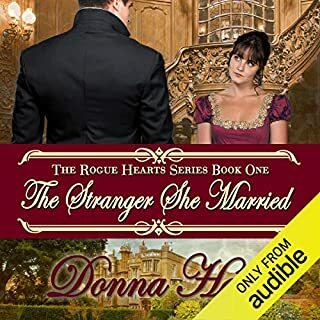 Emme knows why the Dowager Duchess of Briarleigh invited her to a house party - to investigate whether the duke, Rhys Brammel, murdered his wife years ago. But Emme never imagined she would fall in love with the brooding duke. Branded by society as a possible killer, Rhys is suspicious of Emme and her alleged "gift". Then a late night encounter creates awareness of her other, more attractive, aspects. Could not listen to the book. The story was not the norm in the way that normal historical romances go. Heroine can see ghosts and is driven by finding out the truth behind their appearance. Their marriage merged two of Louisiana's most prominent families. But after five years, Katrine remained untouched in body and heart, her husband unable to fulfill his wish to produce an heir. For the sake of that goal, Giles would allow his wife to be bedded by the noble man who won the annual tournament of champions, a medieval contest held on the grounds of Arcadia, his magnificent estate. The honor fell to Rowan de Blanc, who had his own secret reason for joining the games. Would you be willing to try another one of Moe Egan’s performances?